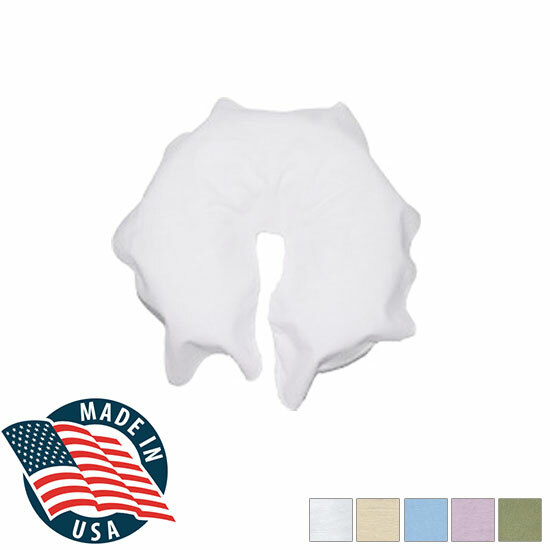 Pack of Twelve drape face cradle covers made of 3.5oz double brushed, low pill, soft 100% cotton flannel. Measuring in at a generous 16" x 18"
Return Policy : No Returns. See Disclaimer below. Manufacturer Direct : Item will be shipped separately from the manufacturer. - Machine wash warm with like colors in mild detergent. - Tumble dry low, remove promptly. Do not over dry. - Use warm iron if necessary. - Adding 1/2 cup* of vinegar during the first wash will help keep pills from forming, as well as help set the color in the fabric. - Do not add detergent during first washing. - Use the extra water setting if available on your machine. - Given that washing products incorrectly will cause increased shrinkage we do not take returns due to shrinkage issues. - Measurement tolerances allow up to a one-inch variance from measurements provided. - Due to the hygienic nature of our sewn products, they are non-returnable.